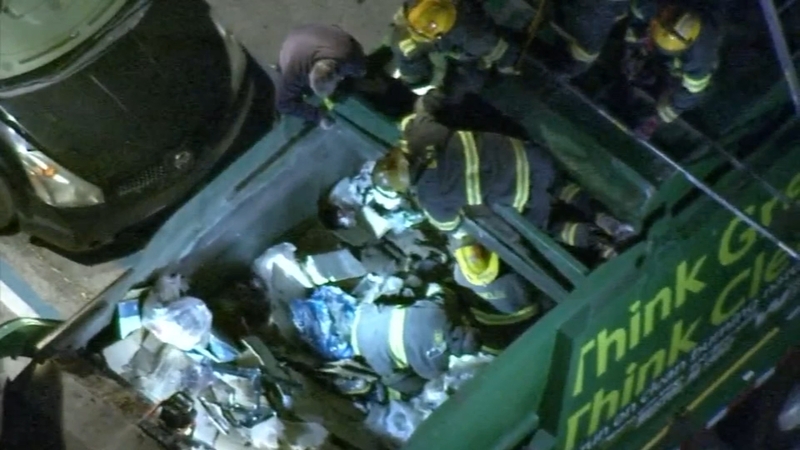 JUNIATA (WPVI) -- A man rescued from inside a garbage truck in the Juniata section of Philadelphia remains hospitalized in critical condition. The search for the man began shortly before 6 a.m. Monday at Erie and Whitaker avenues. Police say the 33-year-old man was sleeping in a dumpster when it was lifted into a waste management truck.